The 1.5 inch (37mm) Angled Tradition paint brush is a professional polyester/nylon brush for use with all paints for both interior and exterior painting. This angular brush size is best suited for windows and smaller trim such as shutters, mouldings, baseboards and smaller furniture. We only use the highest quality filaments which makes this brush extremely durable and effective for precise edging. The 2 inch (50mm) Angled Tradition paint brush is a professional polyester/nylon brush for use with all paints for both interior and exterior painting. This angular brush size is best suited for smaller to medium-sized jobs which include doors, cabinets, mouldings, baseboards and medium-sized furniture. We only use the highest quality filaments which makes this brush extremely durable and effective for precise edging. 1-1/2 in. 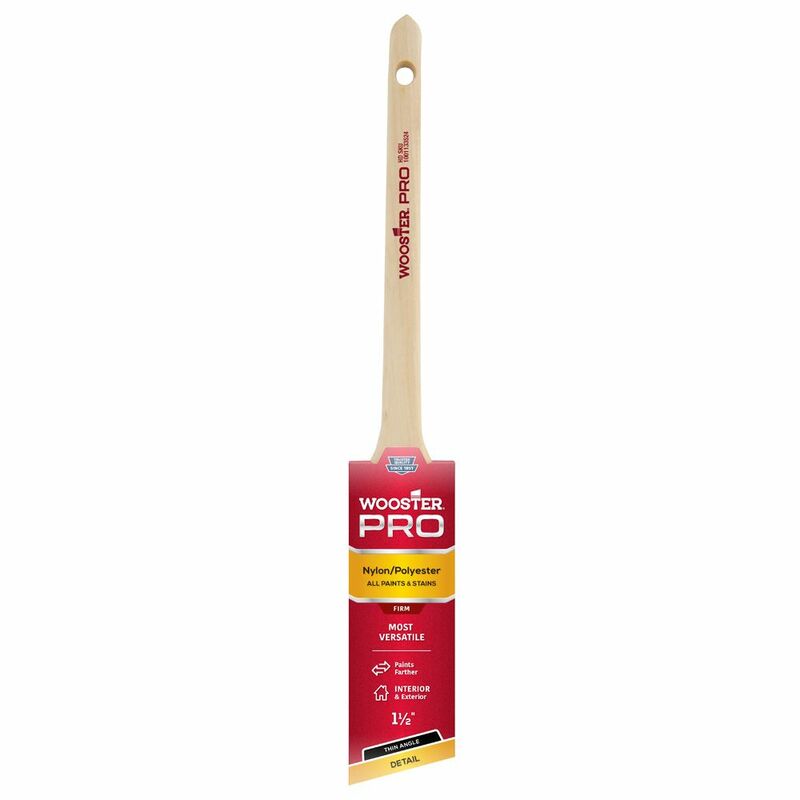 (38mm) Wooster Pro Nylon/Polyester Thin Angle Sash Brush Wooster Pro Nylon/Polyester paintbrushes are made with the very best materials. This unique filament blend was formulated to deliver smooth flow and carry more paint to the end of the brush for fine finishes while achieving it fast. They are designed to provide control and produce sharp lines making these brushes ideal for cut-in work and precision painting.